WHITNEY Houston's family are reported to be blocking production on Angela Basset's upcoming Lifetime biopic because they believe the singer is too important for a TV movie. The late superstar's loved ones are "p**sed" that the Angela Basset-directed film depicting Whitney's rocky relationship with her ex-husband Bobby Brown is being planned as a TV movie because they feel she deserves so much more. Pat Houston, the 'I Will Always Love You' singer's sister-in-law, told TMZ: "Whitney is certainly worthy of more than a television movie. 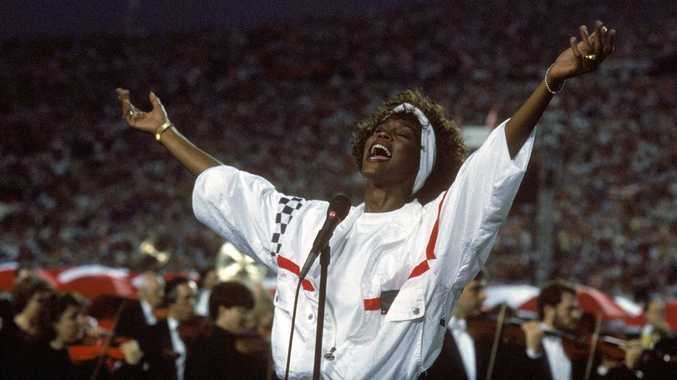 If Whitney were here today, this would not be happening." Whitney's estate has reportedly already informed Lifetime of their displeasure and is said to be threatening a lawsuit if the network refuses to cancel production. The singer's loved ones are instead planning their own big screen movie in the style of Michael Jackson's 'This Is It', which they feel would be a more fitting tribute to the musical icon, who accidentally drowned in February 2012 in her Beverly Hilton hotel suite, with heart disease and cocaine use listed as contributing factors. Meanwhile, the Lifetime movie is set for release in 2015 and will see Oscar-nominated actress Angela, who starred opposite Whitney in the 1995 picture 'Waiting to Exhale', make her directorial debut. She commented last week: "I have such regard for both Whitney's and Bobby's amazing talents and accomplishments, and I feel a responsibility in the telling of their story. Their humanity and bond fascinates us all. I'm beyond excited to have this opportunity to go behind the camera and into their world."